London buses are all cashless, so you need an Oyster card, Travelcard or contactless payment. Bus fare is £1.50 and a day of bus-only travel will cost a maximum of £4.50. You can hop on unlimited buses or trams for free within one hour of touching in for your first journey. 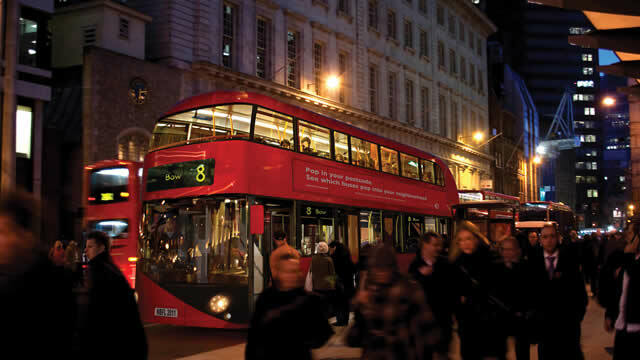 Night buses run all night between the close of the Tube and the start of daytime bus services. There are several different London tours by bus. London’s bus route network covers the entire city with a 24-hour service. Read on to find out all you need to know about bus and tram travel in London. London buses are card only, so no need for cash. 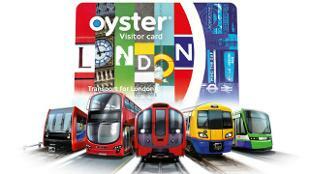 Choose a Visitor Oyster card, an Oyster card, a Travelcard or a contactless payment card to pay your fare. A single London bus journey costs £1.50 no matter how far you go (unlike the Tube zone fare system). You can even take multiple buses within one hour at no extra charge thanks to the Hopper fare system. Plus, no matter how many buses or trams you take, it will never cost you more than £4.50 a day. Just make sure you use the same payment option across every journey. For contactless payment cards issued outside the UK, it's best to check with your card issuer as transaction fees or bank charges may apply. Paying your fare is very easy - simply touch your payment card of choice on the yellow card reader as you board the bus, or show the driver your paper Travelcard. To avoid card clash, make sure to only touch one card on the yellow reader, and to keep your other cards separate. If you don’t have enough credit on your Visitor Oyster card or Oyster card, you will be able to make one more journey on a bus before needing to top up. 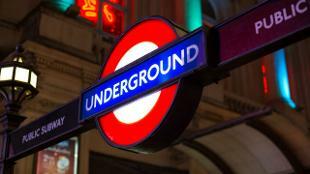 For more information about London bus fares, see the Transport for London website. Still not sure which travel ticket you need to buy? Unclear on how to use your Visitor Oyster card? Read our Oyster FAQs section for the answer to these and other Oyster-related questions. The first London trams were shut down in the 1950s, but the second generation opened in 2000 and now runs through Croydon in south London and goes as far west as Wimbledon. Pick up a one-day bus and tram pass and you can travel on the Transport for London bus and tram network for £5 no matter how many bus or tram journeys you take. The single day actually lasts until 04:29 the following day to cover any late night journeys. Find more bus fare information. There are a number of ways to save on your bus and tram journeys in London. Children under the age of 11 travel free and there are other discounts for children, students and concessions. Freedom Passes provide free travel for wheelchair users, as well as for older and disabled persons. If you're from outside London and have a bus pass issued by another English council, you can use it to travel free on buses displaying the red roundel. Find out about adult discounts and concessions. In most cases, buses only stop at designated bus stops. They do not stop on request between bus stops. To ask the driver to let you off at the next bus stop, press one of the red buttons which can be found on the upright metal posts throughout the bus. You will probably hear a bell and see a "bus stopping" light appear at the front of the bus. On some routes in outer London, buses operate on a "hail and ride" basis, with no fixed bus stops. Press the red button to signal to the driver and you can then get off at any safe point along the route – you will be informed when a bus is in a "hail and ride" area. Find out more about using bus services in London with TfL's guide. Download the Welcome to London leaflet from our Free Maps page, or pick up a copy from TfL Visitor Centres. Chat with TfL’s TravelBot on Facebook’s Messenger app for live service updates on your bus route. Find your nearest bus stop or check when your bus is due to arrive by sharing your location or providing the bus stop code. You can also plan your bus route online with Transport for London's Journey Planner. For all London bus timetables, visit TfL’s website. Many of London's bus routes run all night everyday. 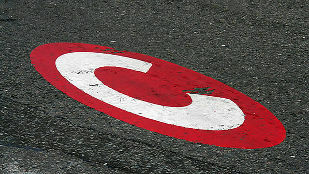 Look for the 'N' in front of a bus number - this indicates a bus that covers the period between the close of the Tube and the start of daytime bus services. In addition, several London bus routes run 24 hours. Hop on a London bus tour for the perfect opportunity to appreciate the full architectural splendour of London's famous streets and monuments. Tour guides offer historical background and interesting facts, with commentaries available in several languages. For something a little different, you can try out a themed bus tour - perhaps afternoon tea, or an eerie evening ghost tour. Some regular bus routes are good for sightseeing too – try routes 9, 14, 15 and 22. 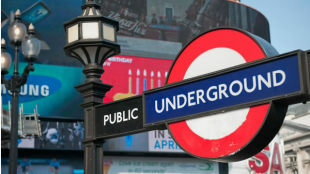 You can also check out top sights from an iconic red London bus with these landmark-packed TfL bus itineraries, from museums and palaces to markets and pubs. All 8,500 London buses (except heritage Routemaster buses) are low-floor vehicles, and bus travel is free for wheelchair users. Low-floor buses are accessible to everyone including those using wheelchairs, with baby buggies (prams/strollers), with assistance dogs or with other mobility impairments. Every bus also has a retractable ramp, which must be in full working order at all times. On all buses, there is room for one person using a wheelchair. Wheelchairs can be accommodated up to a size of 70cm wide (28 inches) by 120cm long (47 inches). Wheelchair users have priority over everyone else for use of the wheelchair space. There is no limit on the number of assistance dogs allowed on the bus, as long as there is space. 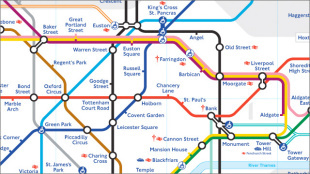 See Transport for London's accessibility guide. 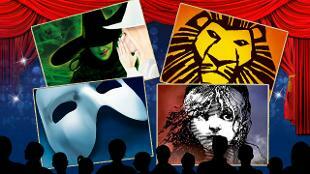 Coaches are a great option for cheap travel to London from almost anywhere in the UK or Europe. Read about coaches to London. The first London buses started in 1829, although back then they were horse powered. You can discover the evolution of the bus up to the modern day electric vehicles at the London Transport Museum.